In the modern age, the most common form of payment for most Americans is via debit card. From small expenses such as getting a cup of coffee from Starbucks to start off the day, to spending hundreds of dollars at a department or electronics store, millions of American citizens use their debit cards on a daily basis, multiple times a day. If you happen to be one of the many people who elect to use debit cards as their primary form of payment so often, you may not be happy with the news coming from Wall Street this week. Whether you run your debit card as debit or credit, some banks may be putting a cap on how much you can spend per transaction. One of the leaders in the change of how debit cards work is JPMorgan Chase. Chase is allegedly considering putting the cap on how much you can spend between $50 or $100. The reason for the sudden announcement is that when a debit card is used, banks make about 44 cents from the company that you are buying from. That money is spread between the bank and its associates. According to the Federal Reserve, in 2009 alone, these 44 cents per swipe resulted in banks making $16 billion. But there was a Wall Street reform in 2010. Under the new reform, the amount banks charge companies per debit card swipe might be capped at 12 cents beginning this July. JPMorgan Chase would end up losing at least one billion dollars a year if the fee is lowered to 12 cents. Other potential results from the change are already being seen. 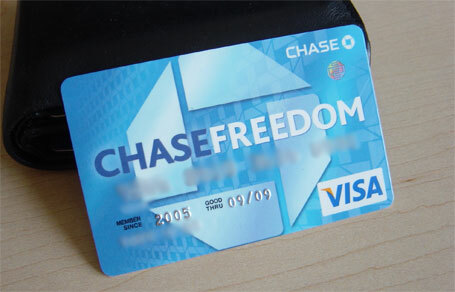 In some parts of America, Chase is imposing debit card fees of three dollars per month and checking account fees of fifteen dollars per month. Reward cards are also being scaled back on. Banks are worried that without the money they get from the debit transaction fees, they would not be able to have the backup funds to compensate for fraud that occurs all too often. It is more than likely that the way most Americans bank is going to change dramatically in the coming months. For better or worse, it is time to start rethinking how we choose to pay for the goods and services we purchase everyday. Use a credit union, and quit feeding the greed. My credit union gives 3.5% interest on up to $15,000 and refunds up to $25 per month of ATM fees if I have online statements, direct deposit and use my debit card 12 times per month. Let’s see Chase or BOA match that!